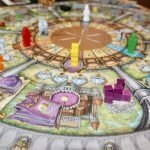 Welcome to the 7th in a series of reviews of 10 of my favorite board games. Today I will gush over one of my top 2 games of all time, Agricola. 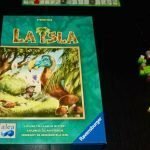 First, a few words about the name of the game. 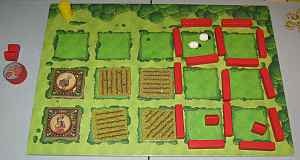 Agricola, as all you Latin scholars know, means farmer. It’s pronounced uh-GRIK-oh-la. It has nothing to do with beverages like Pepsi or Coke or Royal Crown. We call it Gric, for short. Based on what I just told you about its Latin origins, you shouldn’t be surprised that farming is the theme of this game. Farming? Really? Sure, why not? 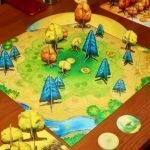 Being a real Euro game, the theme really has little to do with the actual game play. 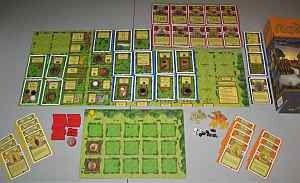 That said, the thematic parts of Agricola do fit rather nicely together. Your job, as a Medieval farmer and his wife (and later their children too), is to improve and expand your farm by plowing and planting fields, fencing pastures to hold a variety of animals, upgrade and add onto your house, feed your family, and make various other major and minor improvements (cards) for efficiency, value added, and the general well being of all. Over 14 rounds and 6 harvests, you and up to 4 other players collect resources (wood, clay, stone, reed), gather food (including grain and veggies), plow fields, build fences, erect new rooms adjacent to your 2-room “starter” hovel, employ people (more cards) with occupations other than your own, have babies, and much more. All of this is accomplished by a very simple action – you place your farmer (or wife or child) token on an action space on the board. If this space has resources, you take them. If it allows some other action, such as plowing, you perform that action. That’s all. One catch is that, if a space is already occupied, you can’t go there this round. This brings up a comical thematic problem. If the neighbors are having a baby right now, your family cannot. But no one seems to mind. There’s always next round. At the end of a few rounds, there is a harvest. At harvest time, you reap some of the crops you have planted, feed your family, and breed your animals. While harvesting crops and increasing your flocks and herds (sheep, boar, and cattle) is important, even more significant is feeding your family. If you can’t feed each member 2 foodstuffs (newborns only 1), you must go begging; that is, you lose victory points. Harvests occur with increasing frequency throughout the game, so it’s vital to find some way to feed your family efficiently early on. There are several ways to do so. Agricola can be played on many levels. 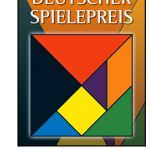 There is a “family game” which is simpler than the “advanced game.” We have never tried anything other than the “advanced” version which includes a multitude of cards to which I have already referred. The occupation and minor improvement cards come in 3 flavors. There are E, I, and K decks for each. We generally play with cards from all decks, but it works equally well just playing with the E deck, for example. 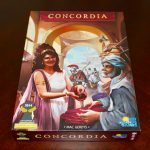 It’s the great variety available in Agricola that has enticed us to play it over 360 times. I’m sure that total would be well over 400 if we hadn’t discovered one of designer Uwe Rosenberg’s other smash hits, Le Havre – but more on that one tomorrow. I feel like I’ve only scratched the surface, but if I dig any deeper, I won’t be able to stop. So to experience the fun and explore the depth of riches yourself, look for Agricola at Amazon.